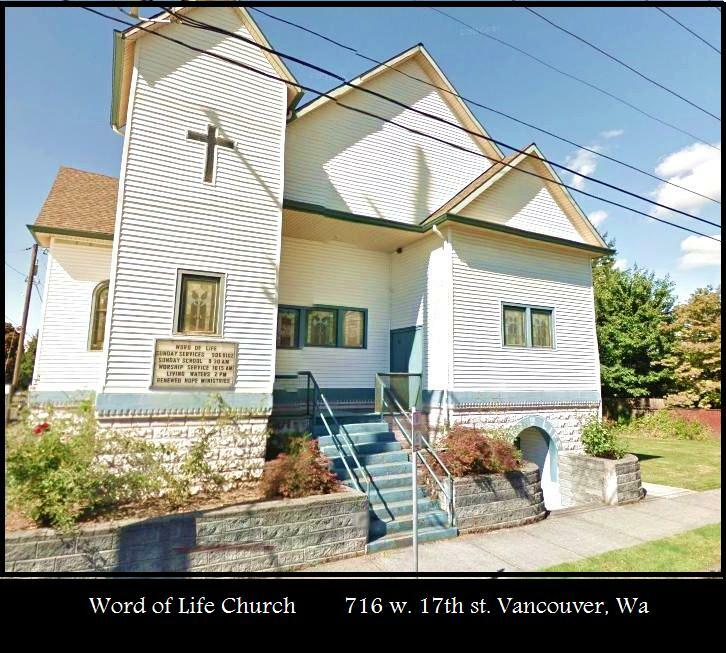 Word of Life is a small gathering of Bible believers located in downtown Vancouver, Washington on the corner of W. 17th and Harney with easy access from Interstate 5, SR 14, and SR 500. Members come from as far east as Camas and as far north as Battleground. We invite you to come and join us for great praise and worship, ministry of the Word, fellowship and prayer. We provide midweek Bible study on Monday morning and Tuesday evening for those interested. Members come from a wide variety of backgrounds and denominations but gather together under one Lord and Head of the Church, Jesus Christ. Word of Life has members from all ages including several families with small children, couples with grown children, singles, and many retired seniors making us truly a family. We encourage one another to be the “lights set on a hill" to a world that needs answers to difficult questions. The congregation is led by three elders who share the pulpit and duties of leadership. They are easily accessible to the congregation and recognize there is only Head of the Church, Jesus Christ. They consider accountability first to Jesus Christ then to each other and the congregation to be their primary responsibility. Handicap access is available through a lift located inside the door on the opposite side of the church from Harney St. Parking is also available in that same area as well as the street. We look forward to welcoming visitors and sharing the love of Jesus with them.